Home Uncategorized Last chance to prune roses. 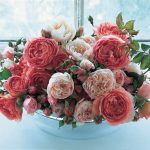 Roses bloom abundantly from early summer till autumn’s hard frosts, making them a top choice for gardeners who like to cut fresh bouquets from the garden. Today is the day we prune the roses. Left it a little late as we like to do it at the start of August. Some people prune as early as at the end of June but you should wait until the frosts are over. Pruning is essential, as is encourages new growth in roses, and therefore more flowers. Late July until early August is the time to do it. 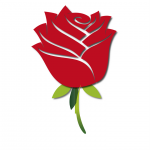 Don’t prune during frost as your rose will be damaged. Have rose your tools (and heavy duty gloves!!!) ready before you start. Cut roses back to a minimum of one-third of their pre-pruned size.